Russia's Supreme Court has ruled that the last Tsar, Nicholas II, and his family were victims of political repression and should be rehabilitated. The rehabilitation has long been demanded by imperial descendants. 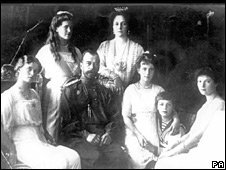 Nicholas, his wife Alexandra, their five children, doctor and three servants were shot dead by Bolshevik revolutionaries in July, 1918. Lower courts had previously refused to reclassify the killings, which had been categorised as simply murder. The Romanov family have been canonised as saints by the Orthodox Church, which has enjoyed a post-Soviet revival. For most of the last century, Tsar Nicholas II was officially reviled as a tyrant. To Russia's Soviet regime, he personified all they had tried to destroy in the revolution of 1917. The Romanovs were shot by a firing squad without a trial, in the Urals city of Yekaterinburg. 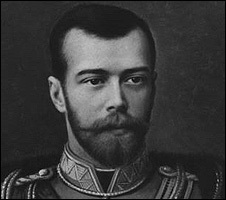 The Supreme Court "declared as groundless the repression of Tsar Nicholas II and his family and ordered their rehabilitation", the judge's decision said on Wednesday. The ruling overturned a decision by a Supreme Court panel in November 2007 not to rehabilitate the imperial family. The descendants' lawyer, German Lukyanov, argued that the lack of a trial was not sufficient grounds to reject the plea that they be considered victims of political repression. Coercion by state bodies, restricting the freedom and rights of citizens for class, religious or social reasons, constituted repression, he told the court. Since the collapse of the Soviet Union in 1991, official attitudes to the royal family have changed dramatically. In 1998, their remains were reburied with great ceremony in St Petersburg. The BBC's James Rodgers in Moscow says the supreme court's decision is largely symbolic - but has been welcomed by monarchists and the tsar's descendants. Grand Duchess Maria Vladimirovna, a Romanov descendant who led the campaign to get the imperial family rehabilitated, "expressed her joy and satisfaction after the decision," her spokesman Alexander Zakatov told the AFP news agency. A spokesman for the Russian Orthodox Church, Georgy Ryabykh, said the decision "strengthens the rule of law, restores historical continuity and 1,000 years of state tradition".